Pancha Karma is a comprehensive cleansing and rejuvenation program for the body, mind, and spirit. The Pancha Karma program includes pre-purification methods to nourish and prepare the body to let go of accumulated toxins, followed by the purification methods themselves. Pancha Karma uses; full-body massage with warm, herbalized infused oils, herbal steam baths, herbal & salt scrubs, and a number of other ancient healing therapies which, when taken in a specific sequence, gently and effectively purify the body. According to Ayurveda, health is a perfect state of balance among the body’s three fundamental energies, or doshas (Vata, Pitta, and Kapha), and an equally vital balance among the body, mind, and soul. Changes in age, seasonal changes, wrong diet, habits, lifestyle, repressed emotions, and stress factors can all act to upset our natural balance, weakening our Agni (gastric fire) and leading to accumulation of toxins. These toxins and deep-seated emotions build up in the tissues of the body and can lead to dis-ease if not eliminated. Pancha Karma is a completely natural form of healing, in which the body is encouraged to simultaneously let go of its excesses and retrieve its essences. …the entire physiology is integrated, immunity is strengthened, and the damaging effects of aging are reversed. Through purification of the subtle channels in the body, the beautiful wisdom and innate intelligence, which is inherent in every cell of our being is allowed to function. By removing blocks to this biological intelligence, the entire physiology is integrated, immunity is strengthened, and the damaging effects of aging are reversed. The aims and objectives of this science are to maintain the health of a healthy person and to heal the dis-ease of an unhealthy person. This is obtained by restoring the balance of the natural processes in the body. The ancient texts praise Pancha Karma as a seasonal rejuvenation treatment for ensuring balance year in and year out. Rejuvenation of body, mind, and spirit. Historically, 7 days are recommended to experience a more complete rejuvenation experience, however, due to popular demand, we are now offering 3-day mini rejuvenation retreats! Each program is tailored to the client’s current state and constitution. You are with us for approximately 2 1/2-3 hours per day including a daily check-in consultation and treatments. All herbal teas are included during the week of Panchakarma. Initial, preparation periodic consultations and an orientation with an Ayurveda Practitioner. Swedan – sweating mobilizes & removes toxins. Daily, Food – a special diet of Kitchery to facilitate cleansing and nourishment. 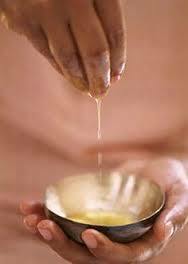 Shirodhara – a calming and balancing treatment for the nervous system. Utvartana – Herbal skin treatment, nourishing, cleansing and gently exfoliating. Auxillary treatments – Are given specifically to your needs. Cleansing – Appropriate cleansing measures are administered when the body is ready. A supportive environment that encourages deep self-healing and contemplation. Post-Pancha Karma health and wellness program for healthy diet, exercise and lifestyle practices. Costs not included; optional services, Accommodations, Hawaii GE tax or optional gratuities. Please see www.HCR.com to arrange on-site accommodations. You will be eating a simple mono-diet consisting of variations of: basmati rice, mung dal, red dal, seasonal & doshic veggies, herbs & spices, and herbal teas. We ask you to avoid consuming meat, sugar, caffeine, alcohol, cruciferous or nightshade veggies, dairy (except ghee), wheat, bread, pasta, salads, and most fruits. We find that our clients are often very satisfied with this diet. The bodies’ energy can then go toward cleansing and healing rather than complex digestive processes. You may also prepare your own meals. Additional meals can be prepared for an additional fee of $60 for lunch and dinner. Once your PK is complete, we set you up with your at-home, rejuvenation-focused: dietary, herbal and lifestyle plan. 2-4 weeks later, we can check in. This post PK follow-up consultation can be done in person or by phone and is included in the package price. Deep physical, mental and emotional healing is often experienced as a result of Pancha Karma. People report a feeling of lightness in the body and clarity of mind, the weight naturally balances. The seven days of cleansing involves a two-3 hour treatment consisting of a warm, nurturing oil massage given by one or two experienced therapists. This is followed by a relaxing full body steam treatment, which enables the oils to penetrate and lubricate the tender bodily tissues. These seven tissues are called dhatus, they are the constituents that make up the physical body. In order from superficial to deep, they are plasma, blood, muscle, fat, bone, nerve, and reproductive tissue. Each day of your Pancha Karma works deeper, from superficial to deep affecting nurturing, dislodging toxins from all 7 dhatus to be eliminated. The daily oil massage and steam treatment is necessary to facilitate the movement of the build-up of toxins in the body. They are carried from the periphery, through the many channels that feed the bodily tissues, to the central part of the body and into the gastrointestinal tract from where they can be safely eliminated. The individual constitution and current imbalance(s) determine which cleansings are appropriate and necessary. Ayurveda looks at the cause of all disease as the result of an imbalance in the body, mind and/or spirit. When you treat the cause, imbalance, you treat the effect, disease. The purpose of Pancha Karma is to support the body in creating balance, and in that way, disease is addressed. Ayurveda states that food is 60% of the medicine it uses to treat disease As part of your Pancha Karma experience, fresh food is prepared for you every day during your program. Also, If you are interested, we will show you how to create delicious, nutritious, simple Ayurvedic meals. In the new trend of health care, people are taking more responsibility for their own health by using alternative health care measures, rather than giving that ‘power’ away to various healthcare systems that are not designed for prevention longevity. Ayurveda is a perfect way to create longevity and health, by focusing on eliminating the causes of disease and prevention. Each Pancha Karma session expands on the previous one, healing of body, mind, and emotion deeper and deeper with each consecutive year. The Ancient Ayurvedic texts suggest receiving Pancha Karma three times per year for optimum cleansing and rejuvenation. However, some people only have the time and the means to receive it only once per year, which is a very good plan. With every year it is truly possible to grow healthier and younger, rather than older and diseased. It is possible to grow in health and Ayurveda shows us how.